More Americans are getting fewer hours of sleep, according to a new study published in the journal Sleep. 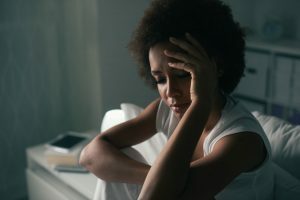 Researchers from Arizona State University, University of Southern California and University of South Carolina found more Americans reporting inadequate sleep over time, with the sharpest increases among African-American and Hispanic adults. The percentage of Americans reporting inadequate or “short” sleep — defined as six hours or less — increased from 29 percent to 33 percent of adults from 2013 to 2017. Researchers examined data from the National Health Interview Survey for nearly 400,000 U.S. adults aged 18 to 84 from 2004 to 2017. Respondents were asked how much they slept in a 24-hour period on average. Those responses were divided into three categories of short sleep (six hours or less), adequate sleep (seven to eight hours), and long sleep (nine or more hours). The study’s authors found that the prevalence of short-sleep duration was relatively stable from 2004 to 2012. But then, a notable shift: Researchers found an increasing trend toward short sleep beginning in 2013 that continued through 2017. The trend was most significant among African-Americans and Hispanics. Hispanics experienced a large increase in inadequate sleep, from 26 percent in 2004 to 33 percent in 2017. Reports of short-sleep duration among African-Americans climbed from 35 percent in 2004 to 42 percent in 2016, then went down slightly. In contrast, whites reporting short sleep increased from 29 percent to 31 percent during the same time period. By 2017, there was a 10-point percentage difference between African-Americans and whites getting inadequate sleep. Short-sleep duration is associated with obesity, decreased cognitive functioning, dementia, heart disease and diabetes, along with increased motor vehicle accidents and conflicts in social relationships. The increasing numbers of Americans reporting poorer sleep is a concern for public health experts, who believe disparities in sleep duration may worsen existing racial and ethnic health inequities. Ailshire and her colleagues observed that increasing reports of shorter sleep corresponds with a period of economic instability, a rise in societal stress and the greater use of smartphones, among other technology, that have all been shown to negatively impact sleep. “Population health researchers pay attention to health inequities, and when we see those gaps are increasing, we ask why and how we can prevent any greater divergence in the population,” Ailshire said. Study authors include Ailshire and Stephen E. Frochen of the Leonard Davis School of Gerontology at USC; Connor Sheehan of Arizona State University; and Katrina M. Walsemann of University of South Carolina. The work was supported by two grants from the National Institute on Aging (T32AG000037 and R00AG039528).